Easter is almost upon us and a lovely long weekend of resting and feasting awaits. Take this holiday as an opportunity to go out and spend time with your family and friends. We’ve scoured the city to compile a list of the best restaurants to dine and wine in Macau this Easter weekend. Count your blessings, reflect on your mistakes and move forward with positivity in life. What better way to live the essence of Easter than a special dining day with your loved ones! Eating out with the whole family on Easter just got better at St. Regis Macao’s The Manor. You’ll be spoiled for choice when it comes to quality cuisine with their Easter Papinee Sunday brunch offerings. Showcasing a culinary masterpiece that’s also kid-friendly, you’ll find a decadent dessert selection, sumptuous seafood on display and fantastic meat options to savor. The Manor’s beautiful setting is always transformed into a magical scene for brunch. The buffet is priced at MOP $528 per adult and MOP $264 per child. 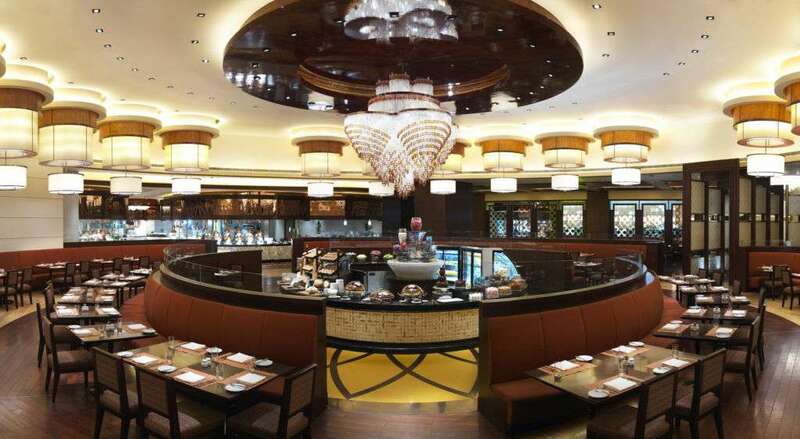 Make Easter an extra special occasion at one of the best buffets in town. Grand Orbit at Conrad Macao has added several delicious seasonal dishes to its amazing spread. The Easter international buffet is available on April 21 with Easter egg painting for children. The lunch buffet is priced at MOP $298 for adults and MOP $159 for kids while the dinner buffet price is MOP $498 for adults and MOP $259 for children. The prices are subject to service charge. Take an Italian trip to Portofino right at the heart of the Venetian Macao. You’ve saved on airfare here so you just might get away with splurging a bit on an enchanting Easter feast with their special à la carte dishes. Their menu consists of mouthwatering antipasto of pea puree, quail egg and Pata Negra on toast; langoustine with chickpea puree; risotto and pasta dishes offer chicken risotto and marsala, pan di spezie. Meat lovers will enjoy milk-fed lamb, violet artichoke and cannellini beans while the dessert highlight is Italian meringue with kirsch and seasonal fresh fruit. Don’t miss out on the Easter brunch extravaganza on April 20 for MOP $488 per adult and MOP $245 per child. If you’re looking for a cozy dining spot with kids in tow, Cafe Bela Vista at Grand Lapa ticks all the pages for a lovely family meal. 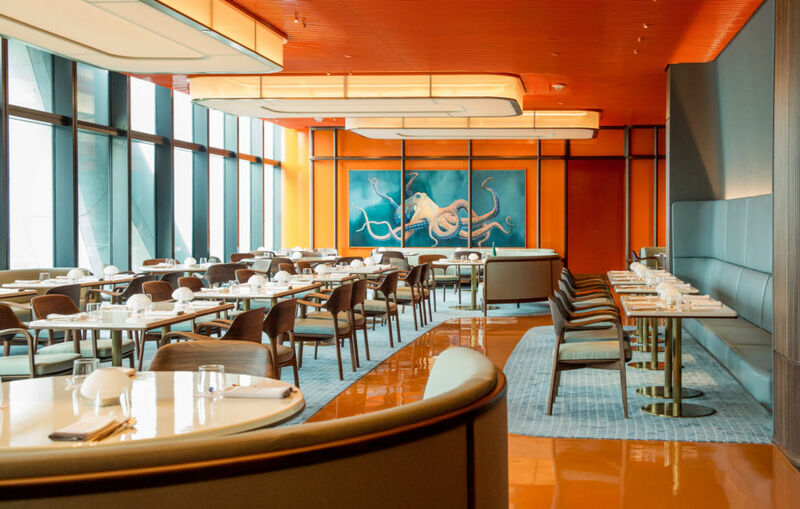 From April 19 to 21, they will be offering an Easter seafood buffet dinner for all three days featuring fresh lobster, razor clams, oyster, abalone, scallop, and kid-friendly bites. It is priced at MOP $468 per adult and MOP $234 per child. You won’t regret spending time at this wonderful restaurant with the people you cherish the most in your life. Cafe Bela Vista has something for everyone with heartwarming dishes and lovely treats for both children and grown ups. 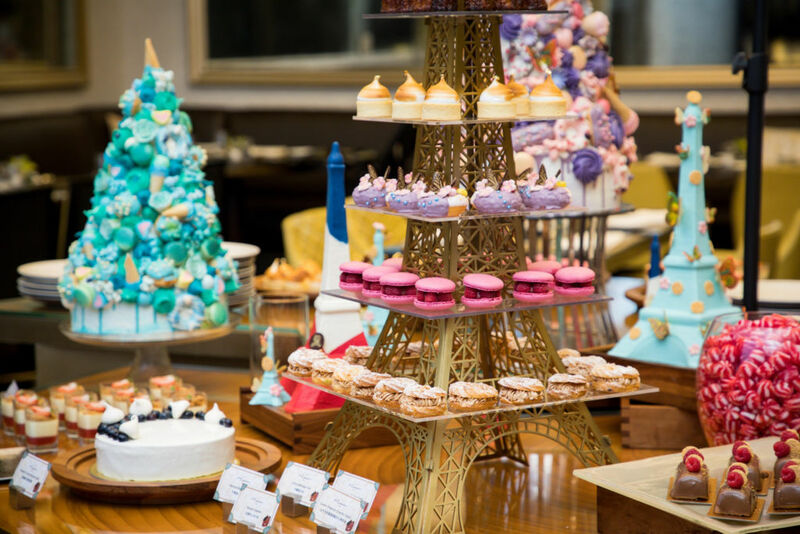 Embark on a French-themed Easter brunch at the elegant setting of Voyages by Alain Ducasse on April 21. 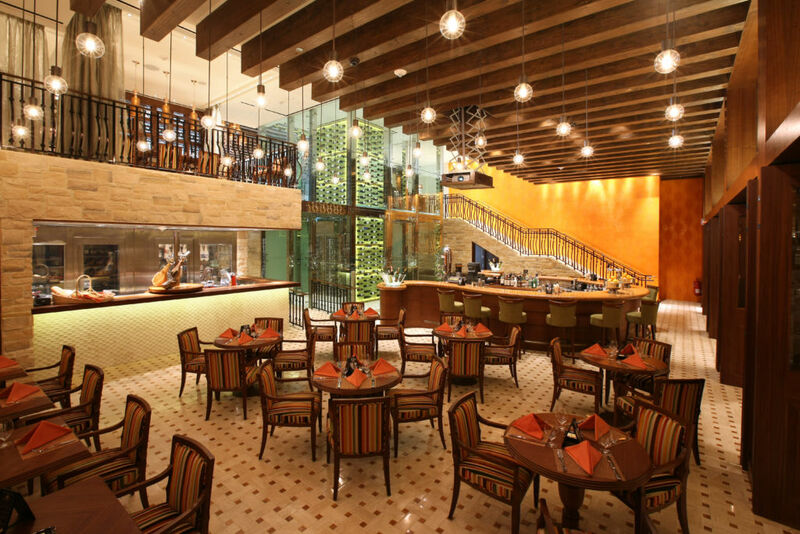 Located at the sophisticated structure of Morpheus, embrace the relaxed spirit of the season at this posh restaurant. 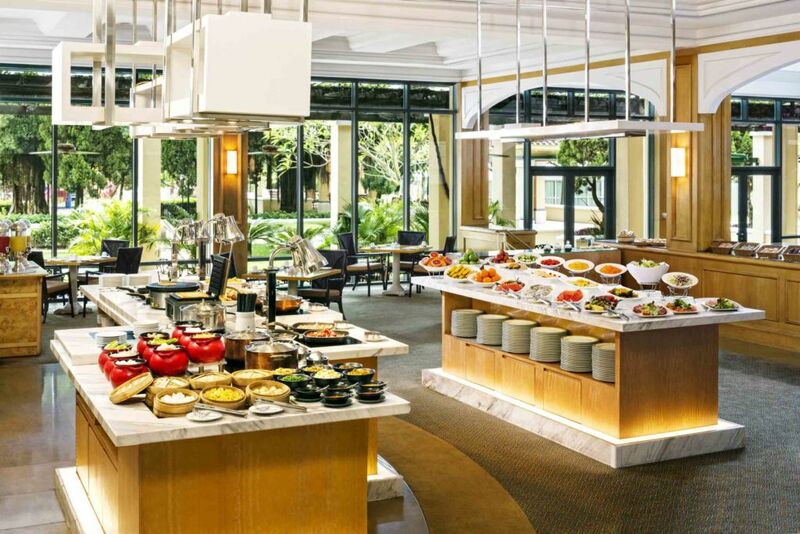 The exceptional buffet filled with French favorite dishes is priced at MOP $588. Expect an innovative approach to well-loved dishes such as the Fernande Allard frog legs, cheese souffle, roasted chicken from Les Landes and Koulibiac Salmon are simply exceptional and exquisitely cooked. One of the best family-friendly destinations during Easter, Grand Coloane Resort has several awesome activities for children and grown-ups on a special occasion. 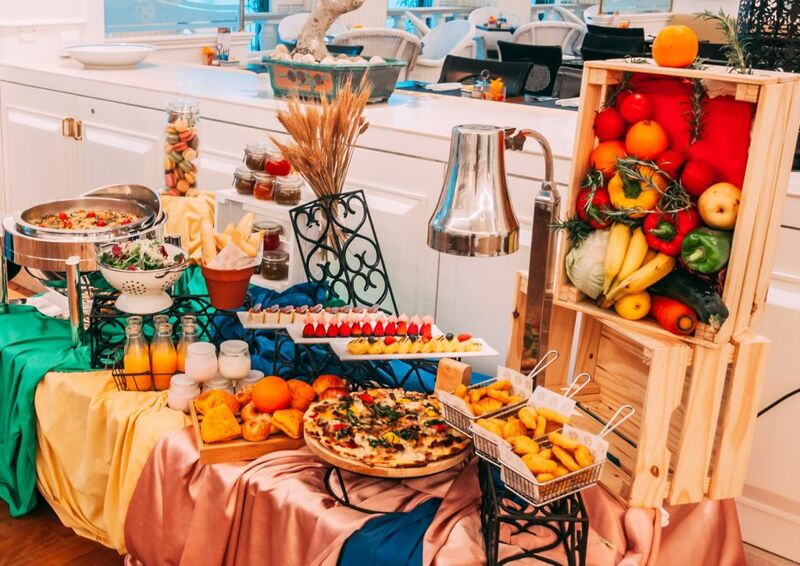 Café Panorama is having an Easter promotion on April 21 featuring a children-focused Easter brunch including breakfast favorites, a seafood station, a BBQ station, a carving station, a chocolate fountain bar, free-flow of beer, champagne, and soft drinks. 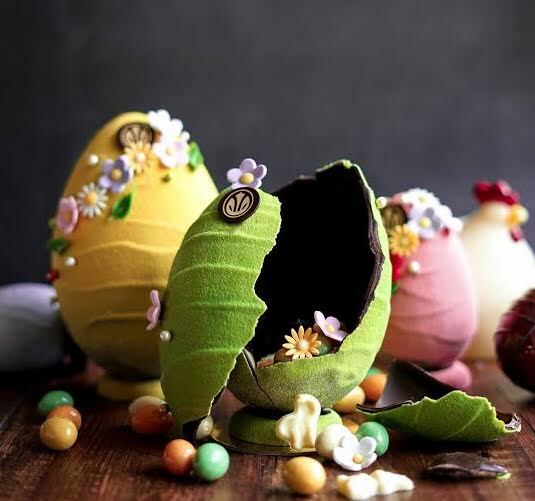 There’s also an Easter themed tea buffet taking place at Panorama Lounge and features assorted colorful candy bowls, sweet, beautifully decorated Easter delicacies, savory Easter food, and free flow coffee and tea. The season is all about family and celebrating the holidays at one of Macau’s most relaxing spots facing the beach and hearing the waves. The family Easter brunch is priced at MOP $438 for adults and MOP $168 for children. On Easter Sunday, 21 April, The Ritz-Carlton Cafe’s Easter Sunday Brunch is not to be missed! Featuring dishes like whole roasted baby lamb Provençal served tableside, cioppino stew–a rich stew of crab, calamari, mussels, clams and prawns, and the ever popular honey ham with mixed sausages. 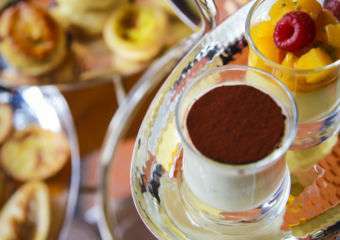 This Sunday Brunch is priced at MOP $688 per person which includes a glass of champagne, or a cup of hot chocolate, juice, coffee or tea. Top up to MOP $888 and enjoy free flow Perrier-Jouët Grand Brut Champagne, house wines and selected beers. For children, it will cost MOP $388 and this includes Easter-themed entertainments, egg and face painting and more with a chocolate bunny to take home. The Ritz-Carlton Bar & Lounge’s Spring Blossom Afternoon Tea will be available from 19–21 April and includes savory bites such as poached quail’s egg, herbed pork terrine and caviar on charcoal toast along with sweets like chocolate potato nest with mango passion sphere and coconut carrot cake with glazed baby carrot. Specially crafted Easter beverages such as the apple mint cooler–a mocktail of apple juice, mint, cranberry juice, lemon juice and cardamom bitters–and the “Pandan Colada” made with rum, pandan coconut syrup, pineapple juice and lime juice. 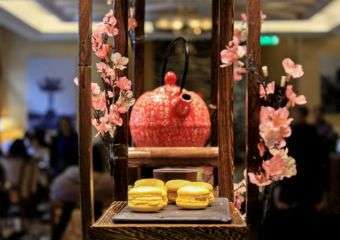 At just MOP $488 per set, the afternoon tea includes two refreshing Easter mocktails, or Palais des Thé tea or coffee. For MOP $200 more, guests can choose between two glasses of Perrier-Jouët Champagne or two Easter cocktails plus Palais des Thé tea or coffee. 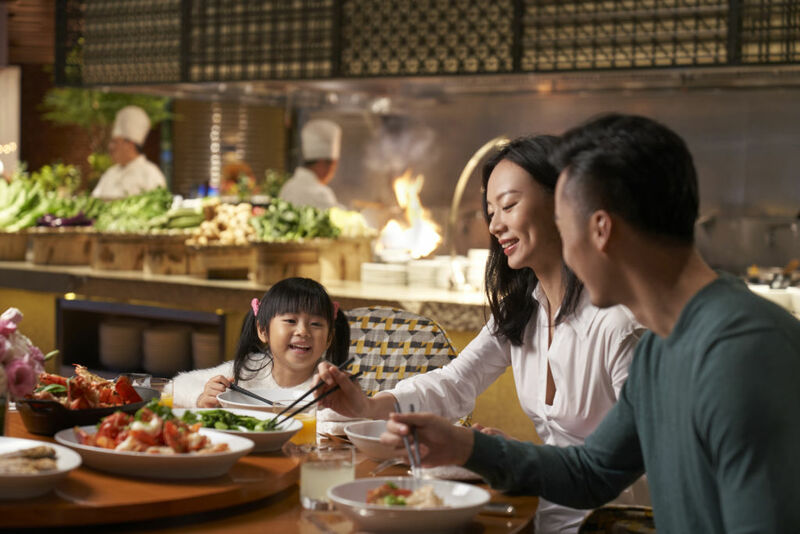 Sheraton Grand Macao’s Feast is popular for a relaxed family vibe and this Easter is bound to be another fun dining experience. 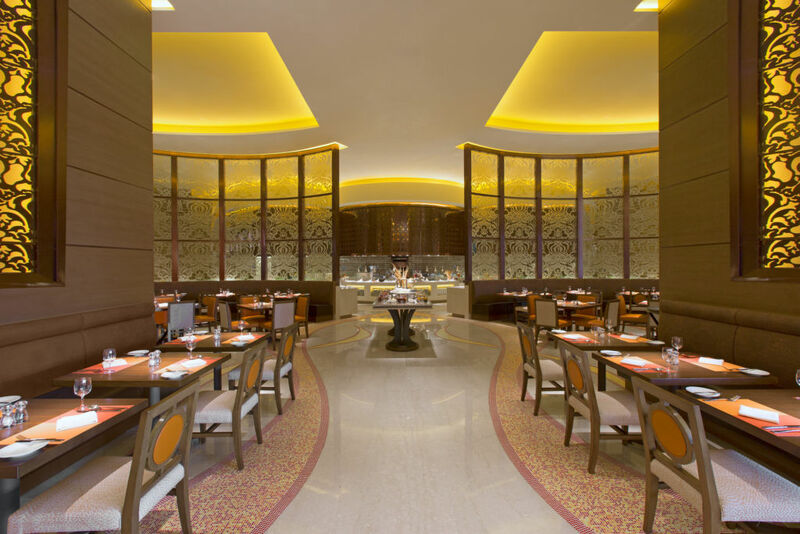 With international cuisine on its buffet, the variety is not just visually stunning but also deliciously memorable. The food is displayed in a myriad of colors and textures which the kids will truly love. 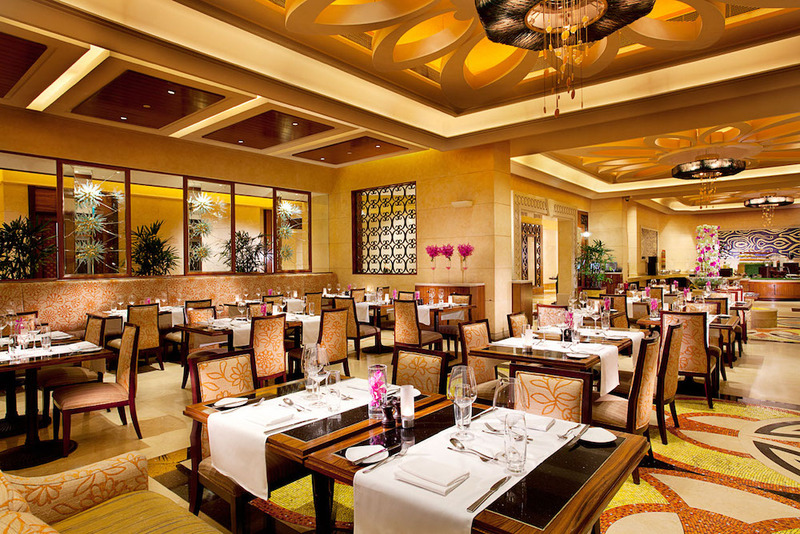 Savor a wide selection of Portuguese dishes, Macanese cuisine, and a huge assortment of popular Asian food. The Easter lunch buffet is priced at MOP $288 per adult and MOP $100 per child starting from April 19 to 22. What better way to end the Season of Lent than at Sofitel Macau at Ponte 16. Hosting a series of Easter egg-themed events, guests are in for a lovely surprise at Mistral Restaurant’s Easter brunch buffet. There will be Crème Brûlée in egg shells and Easter egg puff served together with other mouth-watering delicacies such as garlic herb roasted chicken, honey glazed ham, smoked red snapper fillet with Bouillabaisse sauce, and thyme-brined pork loin with blue cheese sauce. The Kid’s Corner will be providing your kids (and you too if you fancy) with a selection of fish and chips, Taiwanese sausage, and corn on the cob. 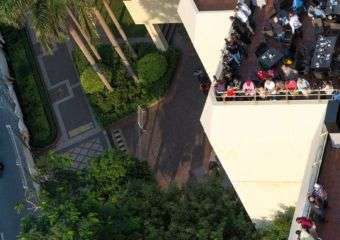 Afterwards, families can head over to the north terrace and participate in Easter games like hand-painted eggs, bouncy castle, and egg hunt of over 200 Easter eggs scattered throughout the venue. The Easter brunch buffet is priced at MOP $208 per adult and MOP $108 per child. 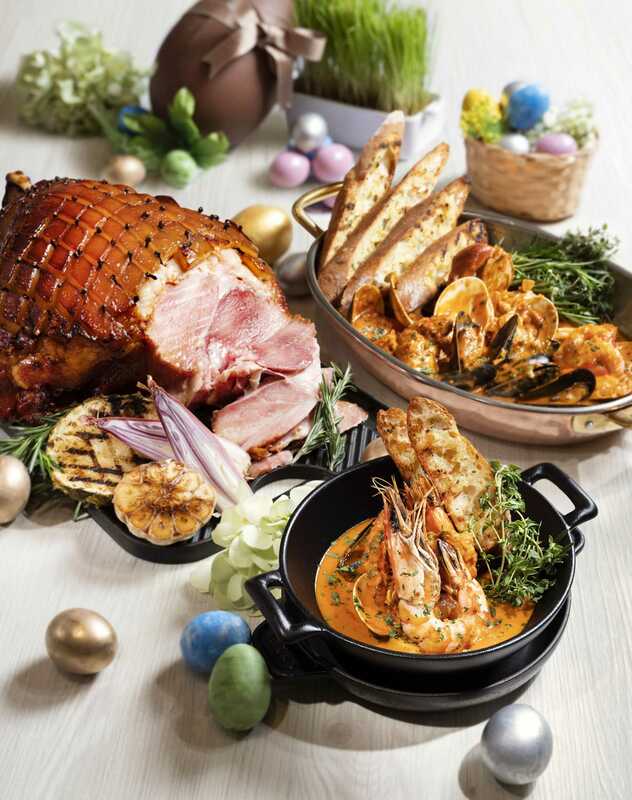 In keeping the tradition alive in the city, the Easter lunch at Grand Hyatt Macau’s mezza9 offers classic dishes on their lunch buffet catering to all members of the family. From seafood on ice to beef tenderloin or salmon en croute, even lamb gigot, mezza9 Macau’s show kitchens will be filled with a marvelous array of gourmet delights, including entrees, seafood, Western main courses, Chinese selections, a kids’ menu and Easter themed desserts, to celebrate the best part of spring in style. watch out for special entertainment and activities that are guaranteed to provide children with a truly exciting Easter day. 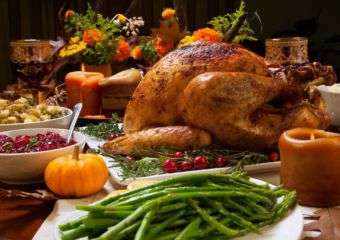 The Sunday lunch on April 21 starts at the price of MOP $488 per person. The prices are subject to 10% service charge. Looking for a cool Easter gift? The talented pastry chefs at Grand Lisboa have cleverly crafted some colorful Easter eggs. The Easter eggs are available in an assortment of colors and decorated with flowers. If you’re on the hunt for a lovely cake, Chef Norihito has a range of holiday cakes on offer. One of his most unique creations is the Japanese and Macanese-inspired Matcha Serradura, a beautiful blend of green tea and traditional Macanese Serradura. It is available until April 22 with treats starting from MOP $68 to MOP $280 at Round-The-Clock Coffee Shop.